Fashion Trends are always cyclical ! I am sure most of you would accept this fact because the trends that were active few years back are coming into picture again like Velvet blouses, crop tops and so many more.But some trends will never leave the fashion industry like the Red lipstick and the vampy fall burgundy lipstick. 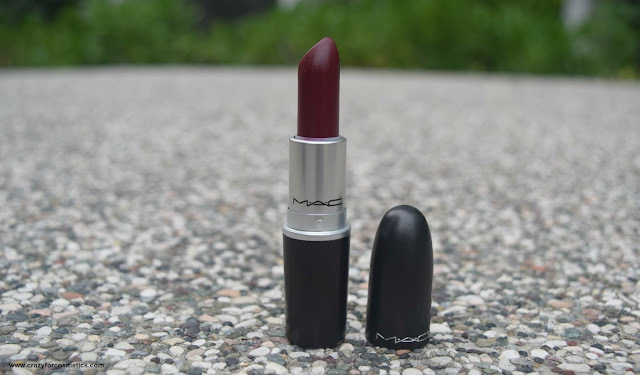 I have a few reds in my collection but always wanted a Burgundy shade and I searched the Internet for some suggestions.Girls, but do not go by the suggestions based on Instagram as most of them would have used some filter to edit the pictures and the color would turn up totally different. So lets find out if one such Instagram based Instantaneous buy turned out Disastrous or Successful. For those who prefer timeless glamour rather than all-out flash, the sophisticated allure of matte reigns supreme. Now, M∙A∙C expands its offering of this classic suede-like finish with 12 new shades of Matte and Retro Matte Lipstick. These lipsticks promise a pop of color that will linger on your lips with impressive staying power. Colored eyeliner pencils are my go to favorite. They just make your eyes pop in a jiffy. I do not use eye shadows on a daily basis but prefer to use such colored eye pencils and smudge them for a super cool look.Faces eyeliner pencils are my favorite - I just love them to the core. They have such creamy formula which does not smudge for hours and is water proof too ! What else one can expect from a decently priced, drugstore brand. I have 3 of them in my stash and I have reviewed the purple one here which is personally my favorite of all. 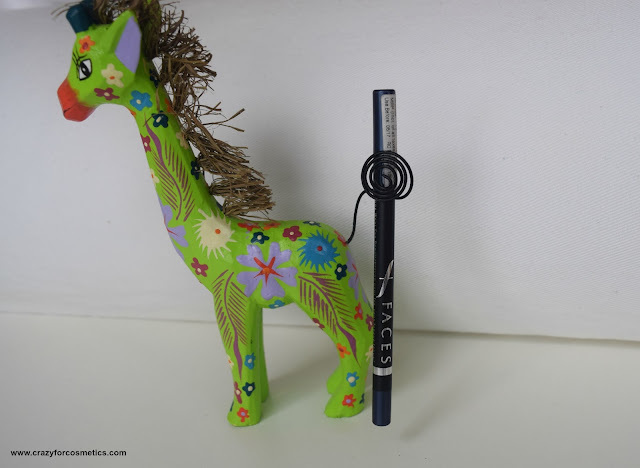 Today I will be reviewing the Navy blue shade from Faces Long Wear Eye Pencil. How many of us pay heed to the Aesthetics of our house as much as we pay heed to ourselves ? 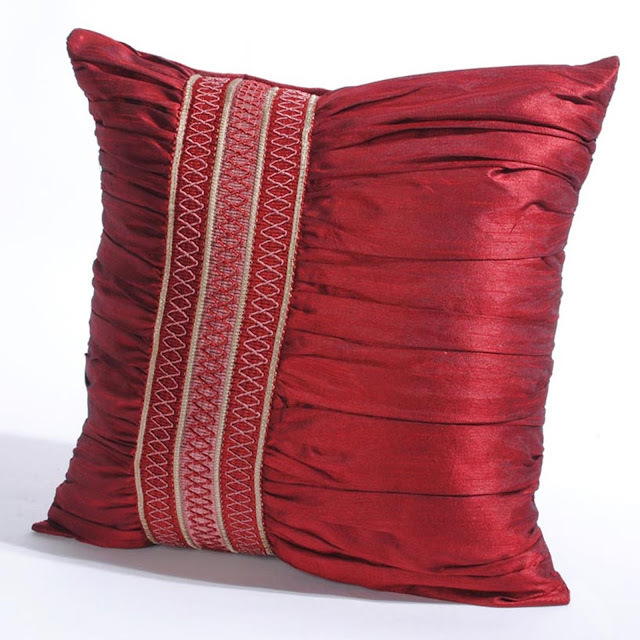 It does not look good if we do not give enough attention to every single detail of the house decor be it the color of the cushion cover, the bedding or even the curtains. How many of us spend time in color coordinating all this stuff so that each room looks like how it should look and gives us a good positive vibe when we get back home from a stressful day? Well, my latest obsession is Home Decor and I am sure you all must have watched the Video here , where I have talked about the recent Home Decor stuffs that I purchased. The list is not over yet and I have yet another post about the Home Decor items I recently bought from my trip to Bali. But why am I talking about that here ? Of course, it was for the article to get into the right mode - Yes, I have a website to be introduced here for my readers who are crazy about Home Decor just like me. Planning the budget for a trip is not an easy task especially when you have to set aside some money for shopping in the new place, be it souvenirs or cosmetics or dresses. Preparing a budget and a wishlist in advance helps you handle sudden other unexpected expenses smoothly. 1 : Do enough research on what is good and what is bad in that place. 2 : Do not go by what your travel agent says since he is paid to do so. 3 : Prepare a list of what you want against what is good & cheap there. 4 : Set a budget for shopping and remove items which go out of the budget. Yes you need some self control. Even though I live abroad, the Desi Girl inside me keeps coming out quite frequently and I feel more comfortable in Indian outfits. Since my travel is usually in public transport , I avoid jazzy clothing and tend to go more understated so that I do not attract unnecessary attention. Since the weather here in Singapore is quite humid, I prefer wearing airy, cotton clothes so that I do not sweat like crazy and embarrass myself. I was not able to carry enough ethnic clothes when I first moved here to Singapore but when I recently went to Chennai, I did manage to grab some of my cotton kurtis and also did a small haul from my favorite place Kalpadruma. 1 : Choose mild colors and mild prints. 2 : Wear elegant yet artistic Indian jewelry. Do not go overboard especially places like Singapore where the other communities hardly wear any jewelry. 3 : Makeup should be mild and the Kajal is one thing we should not miss. 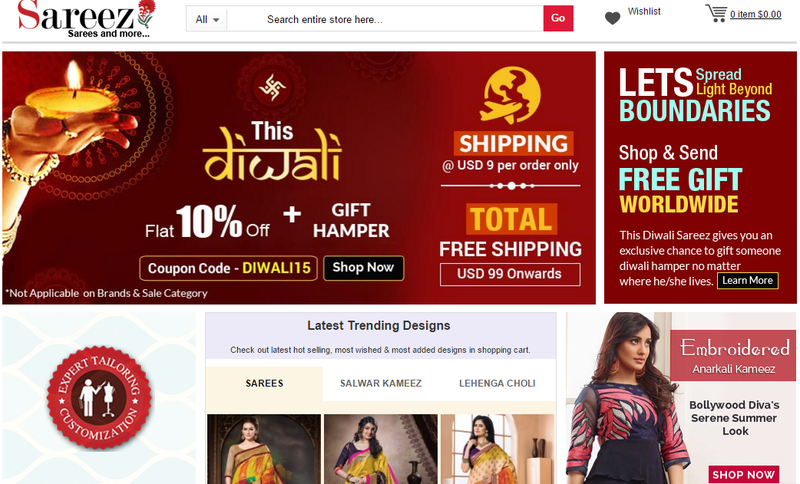 How I dress up the DESI way ? Rarely do we realize how incorrect have we been eating & treating our body. 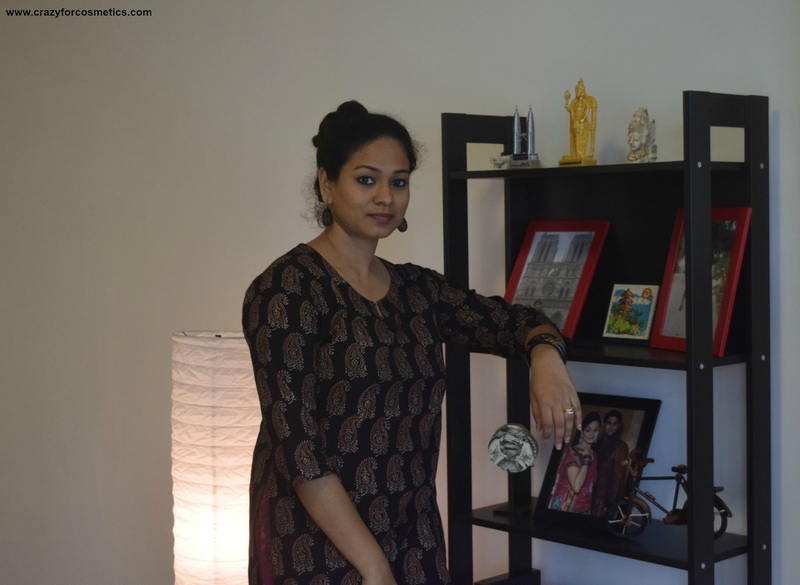 One such realization happened to me when I attended the session on detox ,organized by Kama Ayurveda in their outlet in Phoenix Marketcity, Chennai. Yes, I was in Chennai for a week and luckily I happened to attend this event. Being beautiful is not in our control but maintaining what we are blessed with and feeling young and beautiful does depend on how you take care of yourself and your body. When your husband knows so much about you and gets you something that can make you really happy on a special day like your Wedding Anniversary, what more does a woman want? 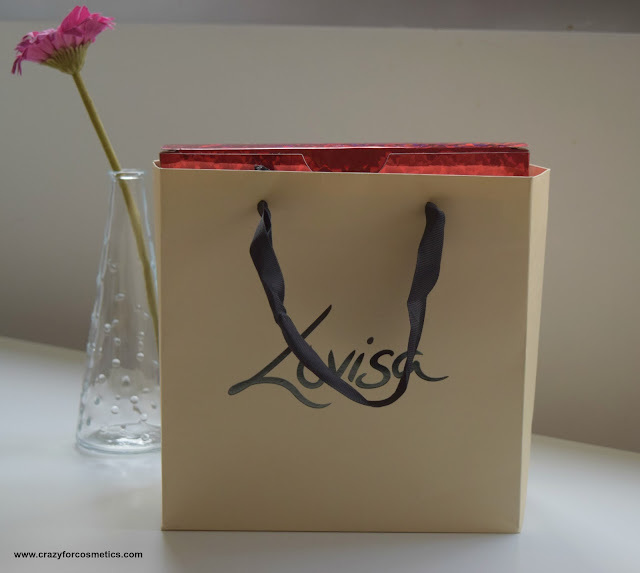 We recently celebrated our Third Wedding Anniversary and my husband gifted me beautiful jewelry from the brand called Lovisa. Statement jewelry is something that can make you look great even in a simple attire.My craze for jewelry will never end and I can stock up so much more. Lovisa is an Australian brand and they have exquisite fashion jewelry collection and lot of outlets across Singapore and Malaysia. They are quite highly priced but I feel their collection is quite unique and worth the price.The necklaces were neatly wrapped and then gift wrapped too. I have been receiving lot of compliments for my skin these days and I think I owe credits to Aroma Essentials products that I have been using for my face. I have a lot of acne scars and open pores on my face , especially on my cheek area. When Madhu from Aroma Essentials messaged me asking my skin concern, I immediately told her that I am looking for products that could help me reduce my acne scars & open pores. So today I am going to be talking about a set of products that has worked together to help my skin get better. 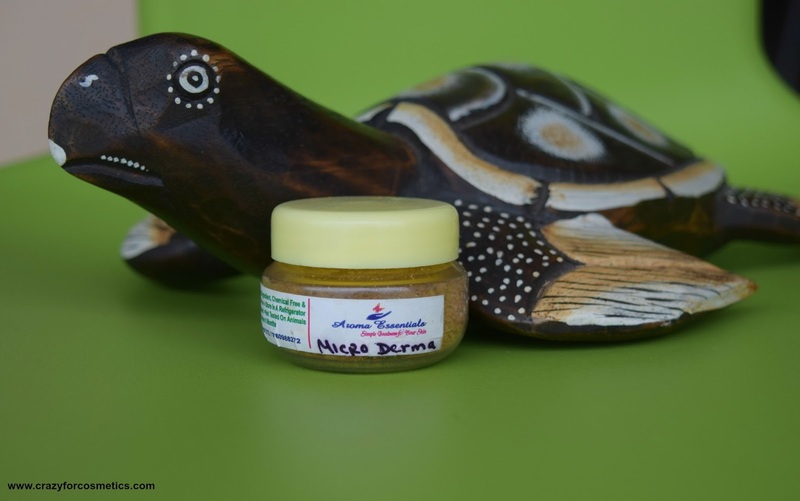 Aroma Essentials Micro Derma Scrub , Aroma Essentials Orange Crush Mask and Aroma Essentials Tan Removing Scrub.